Substance addiction is defined as someone’s failure to limit how much alcohol, drugs, prescription drugs, or other controlled substances they can consume. In a report from 2016, the US Substance Abuse and Mental Health Services Administration (SAMHSA) reported that over 20 million people had substance use addictions in the past year. The only good news from a report like this is that people with a family member or loved one suffering from addiction, are not alone in this sad battle. With plenty of resources and friends by your side, now is the time you can stage an intervention to save the one you love. Skipping important activities (i.e., family obligations, job duties) to recover from hangovers. These items are the big red flags that you might have already recognized, that your loved one needs help. 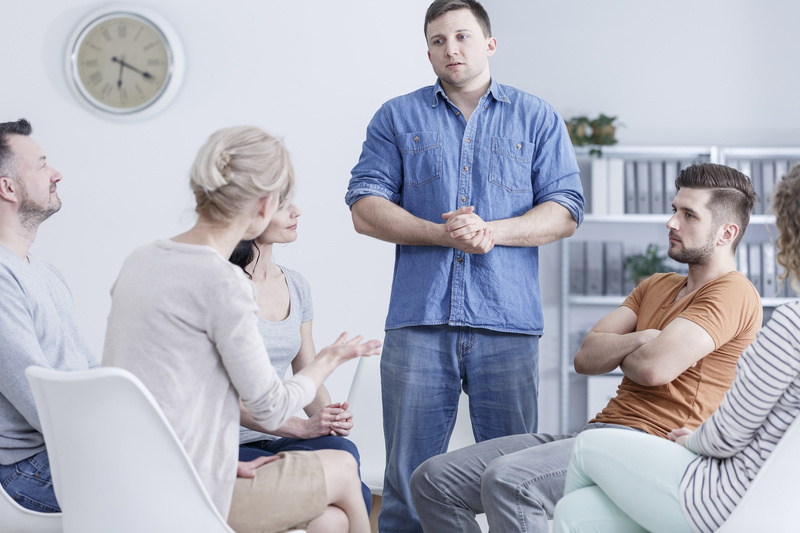 An intervention is a strategically planned conversation where family, friends, and co-workers confront a loved one about their addiction and ask them to accept professional treatment. Interventions include a detailed plan for treatment with clear goals and objectives. These conversations usually involve using the hard words to explain to the abuser how their behavior is hurting them as well as other people’s lives. Whether it’s an intervention for alcohol abuse or other substance addictions, the goal is to present the user with an opportunity to accept professional help and to make a change for the better before things get worse. Unfortunately, not all interventions look like the ones on TV shows where a group of caring friends and family members confront an abuser in a quiet living room. Crisis intervention involves counseling a patient who is in extreme medical or psychological distress. Law enforcement may be involved to provide temporary support to help the patient seek emergency medical treatment. This type of intervention involves a quick, in-person meeting between someone struggling with substance abuse and a medical professional. Brief interventions usually occur after the patient has been admitted to a hospital for an overdose or during a routine doctors visit after a lab test reveals a dangerous health condition. This method is based on the assumption that the abuser and his or her family are connected a system. When the abuser’s destructive behavior impacts the rest of the family, other family members soon to develop their own problems such as loneliness, abuse or other mental health problems. This model doesn’t include friends or coworkers but just the immediate or adoptive family in family therapy sessions designed to help them address the damage to their lives. The intervention team is the planning group that will take part in the intercession. These teams usually include close family members friends or coworkers. Do not include the person who is currently struggling with their addiction on the team. Members of the intervention team create a plan with tasks, milestones, and goals that describes how the process will work. Some of these tasks may include consulting with professional addiction counselors or psychologists. Other goals may include specifying the days and times for every planning meeting. For example, study all the signs and symptoms of prescription drug addiction. Gather information about detox and the recovery process. When you familiarize yourself with these facts, you will be able to customize an intervention for drug abuse that meets your loved one’s needs. Members of the team can share ways to set boundaries to avoid codependency or enabling the person’s bad behavior. The team’s common message should be that relationships with friends and family will diminish if the addict refuses treatment. The team should also agree upon consequences if the loved one refuses to cooperate. Meet with your team to discuss how members can support their loved one in some way while the person works through recovery. Some team members may offer rides to doctor’s appointments. Others may offer to attend support group therapy sessions. The goal is to identify an assigned team member that will go with the person to these very important meetings. It’s important for the team to deliver a consistent message throughout the intervention. Mixed messages will only confuse the loved one and violate trust throughout the recovery process. Practice what everyone will say about the support they will provide throughout the recovery process as well as what the consequences are if this destructive behavior continues. Pick your date carefully to avoid times when the abuser is drunk or high. Schedule the meeting with all the affected players without telling your loved one the purpose of the meeting. Have the team members share their observations on the loved one’s behavior and how they plan to help throughout the recovery process. You should be ready to receive a very defensive reaction from the abuser. The addicted person might feel like they’ve been betrayed or ganged up on and lash out in anger. These feelings are natural so it’s important that you stay composed and caring when you describe how the addiction is ruining your loved one’s life. Connect with your doctor to receive guidance and referrals for other addiction professionals who can help you develop your intervention plan. Ask for guidance on planning for any relapse your loved one may experience. Now is the time to unite with your loved one’s co-workers and friends to learn about the disease and choose the tough words that will put your loved one on the road to recovery.